Douglas Margerum, CPM® received his Bachelor of Science degree from the University of Maryland in 1970 with majors in Personnel Management and Economics. He also attended American University for real estate studies. Mr. Margerum received his Certified Property Manager (CPM®) designation from the Institute of Real Estate Management in 1972 and holds a Maryland Real Estate Brokers’ License. Mr. Margerum worked for Community Realty Company, Inc., a local firm with over 10,000 apartment units, beginning as a Management Trainee, then as a Property Manager and eventually as Assistant Director of Property Management. He managed numerous properties throughout Washington and Baltimore, including the opening of new properties in the region. In 1977, Mr. Margerum joined DRG Financial Corporation as Second Vice President. There he specialized in FHA/HUD financing of existing apartment communities. 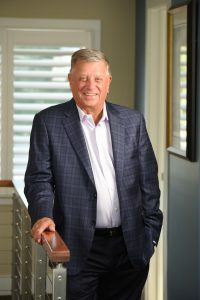 In 1980, Mr. Margerum formed Equity Management, Inc. As Founder, President and Chief Executive Officer, Mr. Margerum oversaw the growth of the firm that managed over 12,000 apartment units in nine states. In 2008, Mr. Margerum sold the third party management business of Equity Management Inc. to the senior executives; the purpose of this was to allow Mr. Margerum to acquire and develop additional multifamily equity investments. Stephen Margerum, CPM®received his Bachelor of Business Administration degree from James Madison University in 2002, majoring in Marketing and Information Systems. 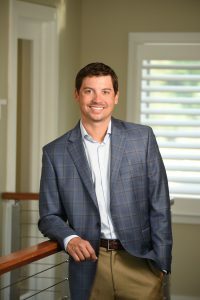 Stephen joined Equity Management Inc. in 2004 beginning as a Leasing Consultant, then as a Property Manager and ultimately as a Regional Property Manager. He became the Regional Manager for the Tennessee based value-add portfolio of 500+ units. Once returning to Maryland, Stephen managed an apartment portfolio in Prince Georges County and Baltimore County of 2,200+ units. Currently, Stephen manages the daily operations for all properties under Cove Property Management and has developed over 50,000 sq. feet of residential units and commercial space in-house. Stephen holds an Accredited Residential Manager (ARM®) and a Certified Property Manager (CPM®) designation from the Institute of Real Estate Management (IREM) as well as being the Executive CPM for Cove. Stephen teaches Investment Real Estate classes nationally and is on the National Committee for the Knowledge and Products Committee with IREM. Stephen is the current President of the Maryland Multifamily Housing Association (MMHA), serves on the Board of Directors for MMHA and IREM Maryland Chapter 16. Additionally, Stephen received the IREM Professional Achievement Award in 2016. The award recognizes individuals who have earned an IREM-conferred credential who have continued on with their professional development activities and have realized outstanding professional accomplishments beyond earning their IREM credential. Sonya Zoppo Campbell, CPM® joined Cove Property Management as the Director of Operations in January, 2015. Sonya brings 25 years of diverse property management experience to Cove, including multi-family residential and lease up management, commercial and retail management, and condominium association management. 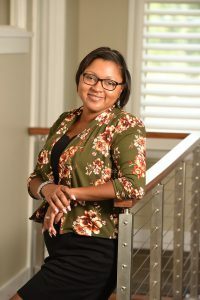 She was the gold star winner of the Maryland Multi-Housing Association (MMHA) Regional Property Manager of the Year award in 2011, the gold star winner of the MMHA Property Manager of the Year award in 2001 and has received various other awards during her career. Sonya is a Certified Property Manager (CPM®) through the Institute of Real Estate Management (IREM), serves on various local IREM committees, and is a past MMHA Executive Board member and Past President for IREM Maryland Chapter 16. Sonya’s philosophy is simple; the integral parts of a successful team and profitable assets are teamwork, service and dedication to both owners and residents. Sonya loves golf and Florida, with an impressive 16 handicap. Michelle Green has served as Controller & Director of Employee Relations with Cove Property Management since February 2016. Michelle comes to Cove with over 13 years of finance and accountancy experience. As a financial executive she is responsible for corporate accounting, treasury management, financial reporting and internal control policies and procedures. As head of human capital management, she is also responsible for human resource infrastructure including strategic planning for recruitment, training, benefits and labor relations. Michelle is a member of the Society of Human Resource Management. She holds a Bachelor’s degree in Finance and Information System as well as a Master of Business Administration. 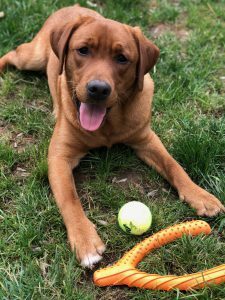 Scout is a male Fox Red Labrador Retriever puppy from Keepsake Labradors in West Virginia. When Scout is not sleeping/snoring in our office he is chasing sticks and tennis balls or swimming in the Bay. Other than the mailman, Scout is loved by all that meet him.